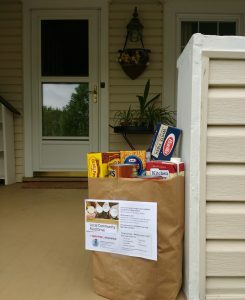 Last month Grandview Insurance conducted another OPERATION FEED food drive in the Grandview Heights/Marble Cliff area, and we were thrilled with the response! Because of the generosity of our community, we were able to deliver 220 pounds of food to Mid-Ohio Food Bank, and help local families struggling with hunger. Their goal is to provide efficient, effective ways for hungry people to meet their basic food and nutrition needs, and Grandview Insurance is proud to be part of their campaign! Whether you are searching for Personal Insurance, Business Insurance, or Financial Advice, Grandview Insurance Services is on a mission to help current and future customers find the best options for protecting their assets. We provide solid and sensible asset protection services to clients throughout Columbus, and all of Ohio.